We finally got some Kingdom Hearts III update! Revealed at the Tokyo Game Show, Square Enix has revealed the official gameplay of the newly added world of Kingdom Hearts III. 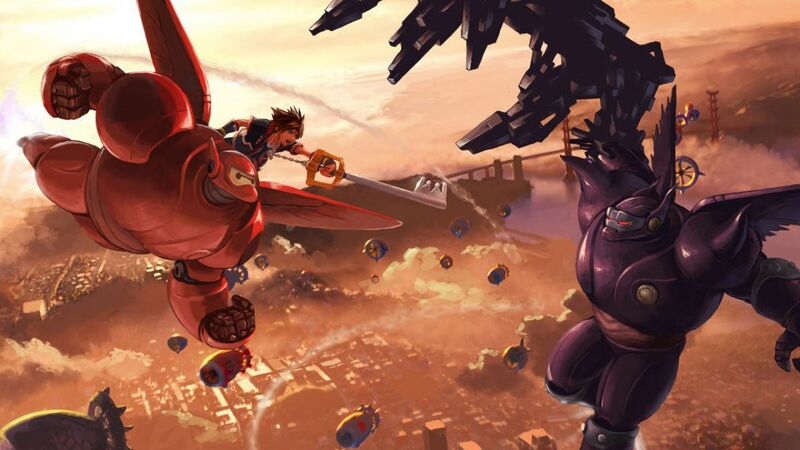 It was already announced years ago, Square Enix confirmed that Big Hero 6 was going to be added in KHIII, but we never got any videos of the gameplay until now. Taking place after the movie, Sora and his friends will help Hiro and his friends fight against the Heartless in San Fransokyo. Along with the gameplay, we also get some quick footage in parts of the KHIII story. We also get some gamepla of the space battles of the Gumi Ship. Kingdom Hearts III is expected to be released on January 29th, 2019 for PS4 and X1. I agree. I would be willing to spend to get this game guarantee. I have been waiting for a long time.